Winter is a chilly time of year so it would seem natural that ice could stay frozen all winter long. 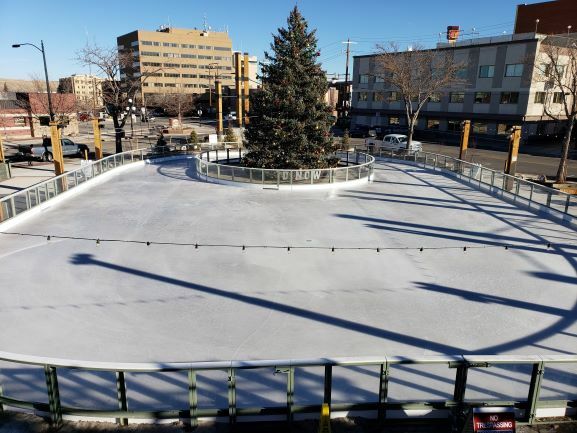 In some parts of the world that may be true, but in Casper where winter can be 10 below one day and 50 degrees the next, it is important to have a system in place that will keep our new ice-skating rink up and running all through the winter, no matter the temperature. Keeping ice in skating condition requires specific chemicals. 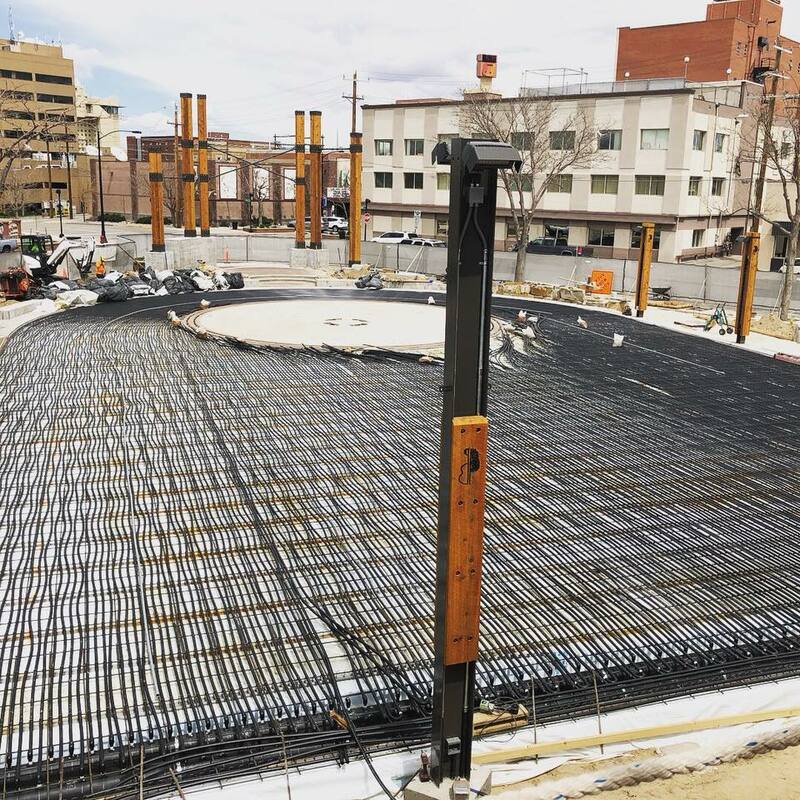 Before the concrete was poured, where the ice-skating rink sits, hundreds of pipes were laid out exactly right to ensure no area of the rink would melt. These pipes transport the chemicals, including glycol, underneath the ice to keep the it cold. The glycol is located below the ice-skating office, next to the controls for the splash pad. 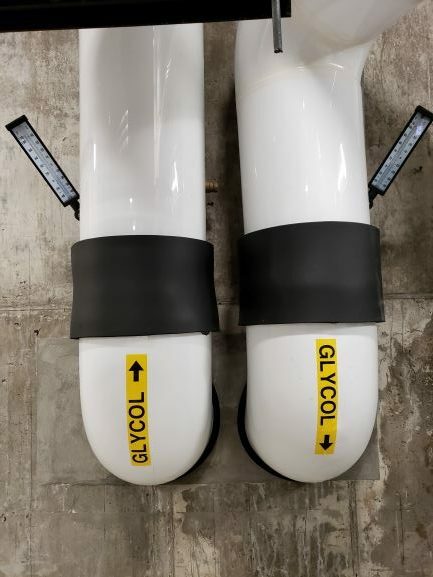 Two giant pipes work together to send the glycol out through the pipes under the ice and back down to be recycled through. 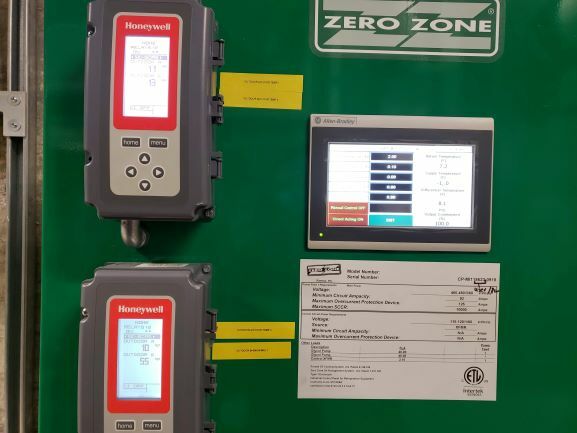 Control boxes help to monitor not only the amount of glycol being used, but the temperature outside and the temperature within the pipes leading up to the rink. This helps to make sure the right amount of the chemical is being used on those warmer winter days. The real machines that keep the ice frozen actually sit on the roof of the Zamboni garage. If you look on top you will see two large blue pieces of equipment. These are the chillers. 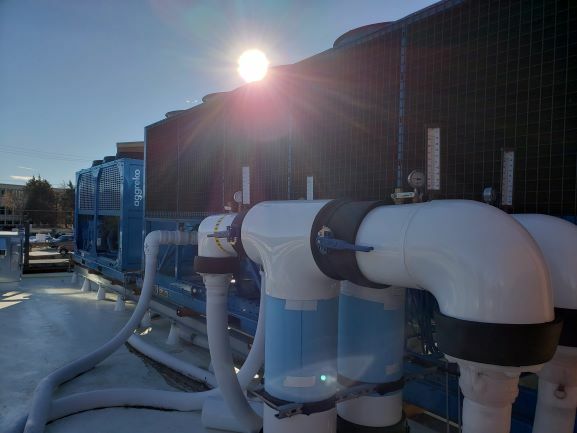 These Aggreko chillers are what maintain the temperature of the ice. It is important to keep the ice between 17° and 20°. Any colder and the ice will start to crack and any warmer will prevent ice from forming. 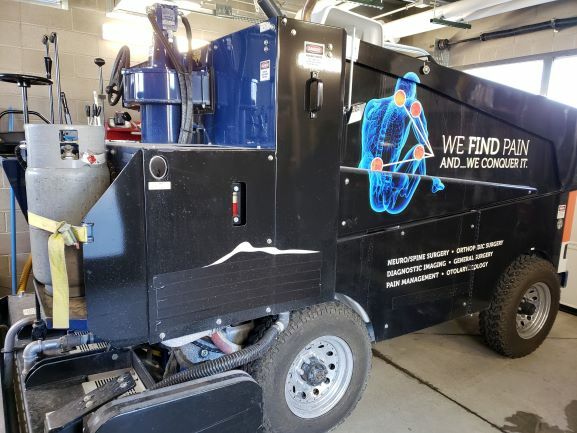 This chiller systems works hand in hand with the chemical system to make the ice on the rink as durable as possible for the hundreds of skaters we see each week. Now that you are a pro on the inner-workings of the ice-skating rink, you can start learning new moves on those skates and become a pro-skater too! Once the ice is formed, it is time to make it look nice. The Zamboni fits exactly where we need it to on or off the ice. To operate the Zamboni, our driver fills it up with hot water located in our Zamboni garage. Once the Zamboni is on the ice it washes, shaves, and lays down a new layer of ice all at the same time. A pipe lays down wash water and a different one picks up the wash water. Then, another pipe delivers the new water to make the ice. Once that is done, the blades in the back shave the ice to make it smooth. All of this happens in a matter of minutes so you can get skating again! 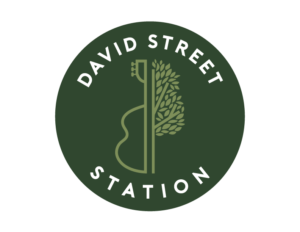 Visit www.davidstreetstation.com for the most up-to-date information and connect with us on Facebook, Instagram and Twitter. 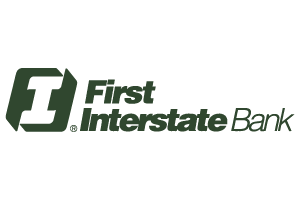 We love to hear from you and see all of your photos at David Street Station. Be sure to tag us at #WhereCasperComesTogether and try out our Snapchat filter. No Replies to "Behind the Scenes: Ice-Skating Rink"